Engineered Products – Consolidated Pipe & Supply Co.
Consolidated Power Supply’s Engineered Products Division supports the commercial nuclear industry in the manufacturing of valve components and other related Section III Class 1 parts for commercial nuclear customers. The operation occupies a 35,000 square-foot facility near Pittsburgh, Pennsylvania. 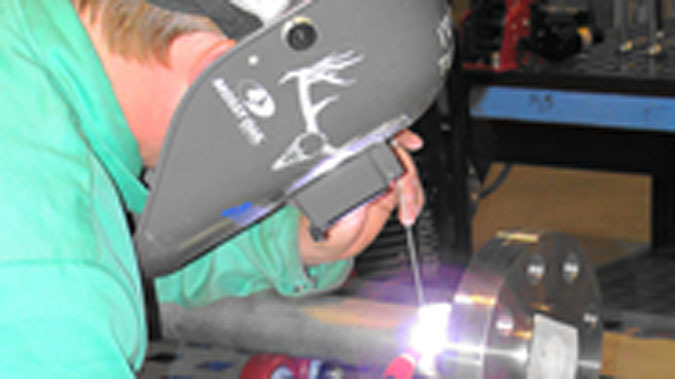 Capabilities include, but are not limited to, light to medium manufacturing and fabrication along with commercial-grade dedication, reverse engineering and the ability to perform the design of various appurtenances for the nuclear industry. Visit the Consolidated Power Supply website for more information. 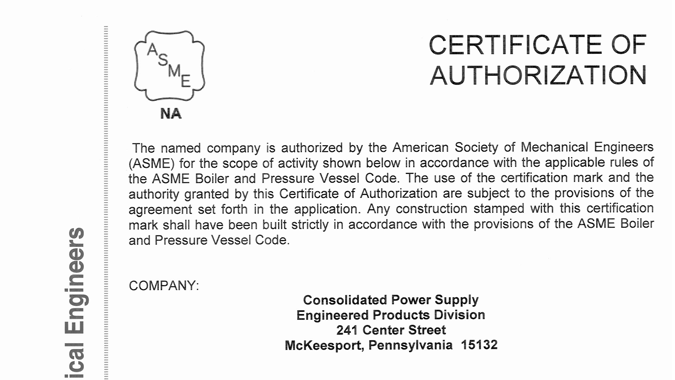 The Engineered Products Division has successfully passed, and has been awarded, their NPT Certification of Authorization N-3341, with added design responsibilities. This will permit Engineered Products Division the ability of manufacturing various ASME Section III Class 1, 2 and 3 components, along with various safety-related components needed to support the commercial nuclear industry. Consolidated Power Supply's Engineered Products Division has in-house capability to perform light to medium weight fabrications. It also has the in-house capabilities to perform the application of various hard facing and wear surfacing materials such as Stellite 156, Stellite 6 , NOREM02 and other related wear surfacing materials. Visit the Consolidated Power Supply website to find a location near you.